(TORONTO) – The flagship Lexus LS 600h L long-wheelbase prestige hybrid sedan establishes a unique vision of the ultimate contemporary luxury for its owners. The LS hybrid marries unprecedented comfort, refinement and luxury with awe inspiring power, handling, and safety. It surrounds Canadian motorists with advanced technology that surprises and delights. And it delivers remarkable fuel efficiency and emissions performance that offers drivers a feeling of distinction without compromise as a more sustainable partner in their pursuit of automotive perfection. A more refined interior featuring escaine headliner, premium leather seat surfaces, and leather covered upper instrument panel and door interior panels. In a class by itself, the advanced Lexus Hybrid Drive is tailored to the unique demands of the LS hybrid, delivering the performance of a V12 and the efficiency of a V6. For the LS 600h L, the Lexus Hybrid Drive is built around a precision manufactured 5.0 litre V8 coupled to high-torque, high-efficiency electric motors, large-capacity storage battery, and a sophisticated hybrid power management system that delivers 438 net horsepower and up to 385 lb-ft of torque. A dual-mode Electronically controlled Continuously Variable Transmission (ECVT) with sequential multi-mode shifter delivers smooth, confident acceleration and remarkable fuel efficiency of just 9.9 L / 100 km (city/highway combined) and a Tier 2 Bin 3 emissions rating. What’s more, a master craftsman individually tunes each engine system to virtually eliminate unwanted noise and vibration. The all-wheel-drive LS hybrid is fitted with the state of the art Lexus Vehicle Dynamics Integrated Management system (VDIM), plus Vehicle Stability Control (VSC) and Traction Control (TRAC). These work in concert with sophisticated independent multi-link suspension systems featuring anti-vibration subframes, stabilizer bars and front anti-dive and anti-squat geometry – further enhanced with an Adaptive Variable Suspension (AVS), front and rear – to deliver a comfortable yet controlled ride over a wide variety of pavement surfaces. Handling and control is enhanced with highly responsive Variable Gear Ratio Steering (VGRS) and Electric Power Steering (EPS) and sure-footed P245/45R19 all season radials mounted on 19” aluminum alloy wheels with wheel locks and a full-size spare tire. Full safety systems include eight air bags as standard (driver and front passenger, front seat mounted side, driver and front passenger knee, front and rear side/curtain). Other safety systems include seatbelt pre-tensioners and force limiters for front and rear occupants, power-adjustable B pillar shoulder belt anchors, and an on-board first aid kit. 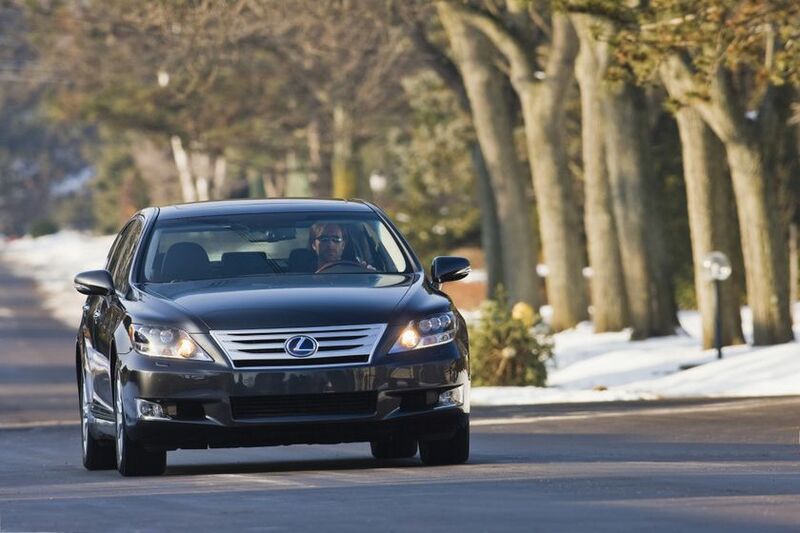 In addition, Lexus paid exceptional care to driver vision, with rain-sensing variable intermittent wipers, fog lamps, and advanced energy-saving Light Emitting Diode headlamps with headlamp washers and fog lamps. Bright and reliable LED tail lamps bring up the rear. The LS 600h L’s advanced technology systems and prestige amenities are wrapped in a distinctive body informed by the Lexus L-finesse design language, finished with a power tilt-moon roof with sun shade and Lexus hybrid blue accented front headlamps, rear tail lamps and badging. P235/50R18 all season tires on 18” aluminum alloy wheels with locks and a full-size spare. The 2010 Lexus LS 600h L is now on sale at Lexus dealers across Canada, with a Manufacturers Suggested Retail Price starting at $119,950. 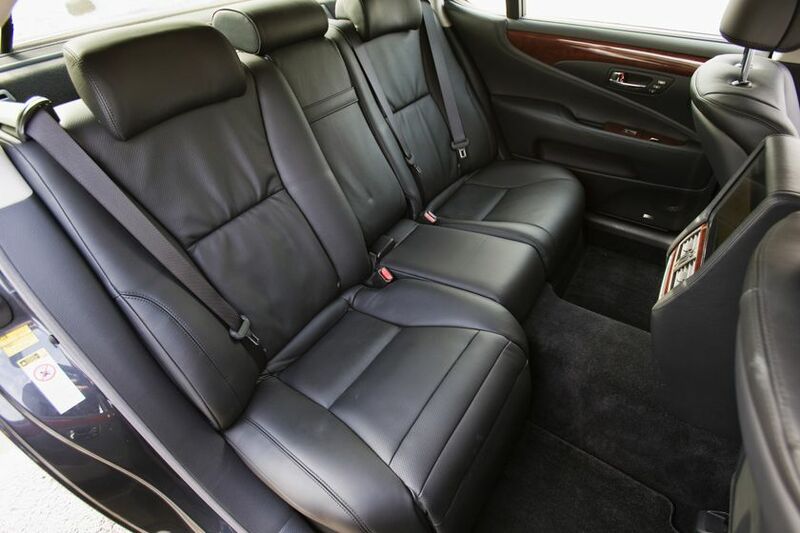 The Premium Executive Package starts at an MSRP of $144,000.